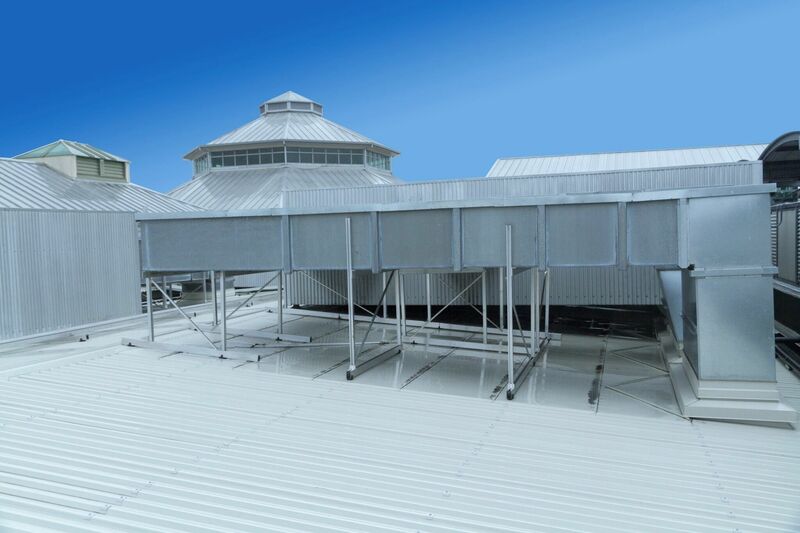 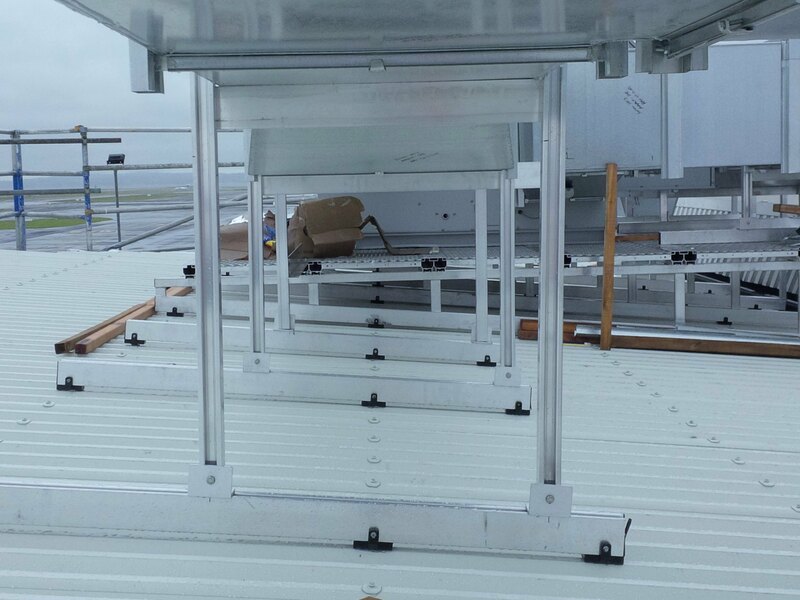 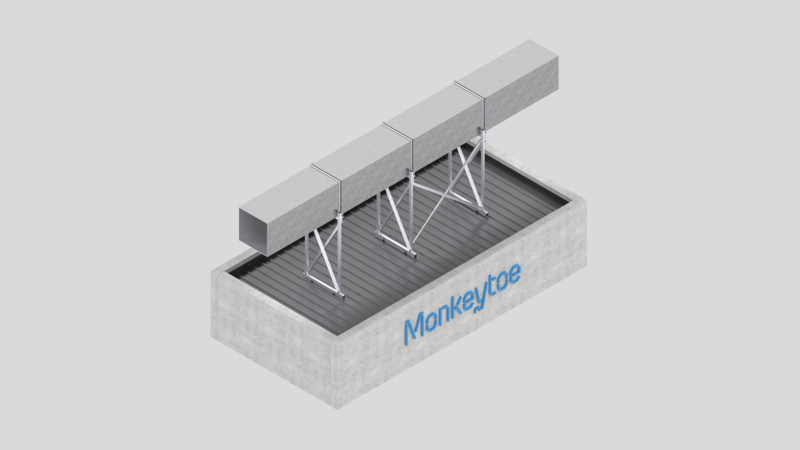 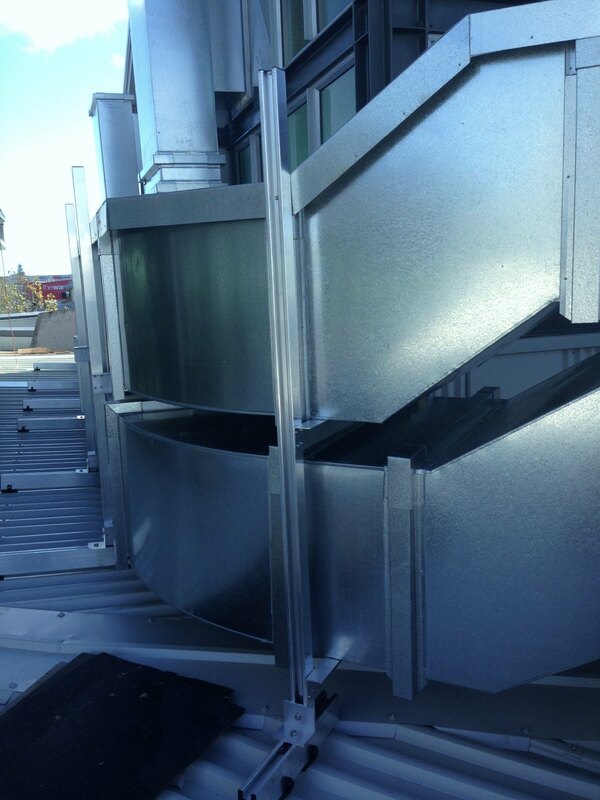 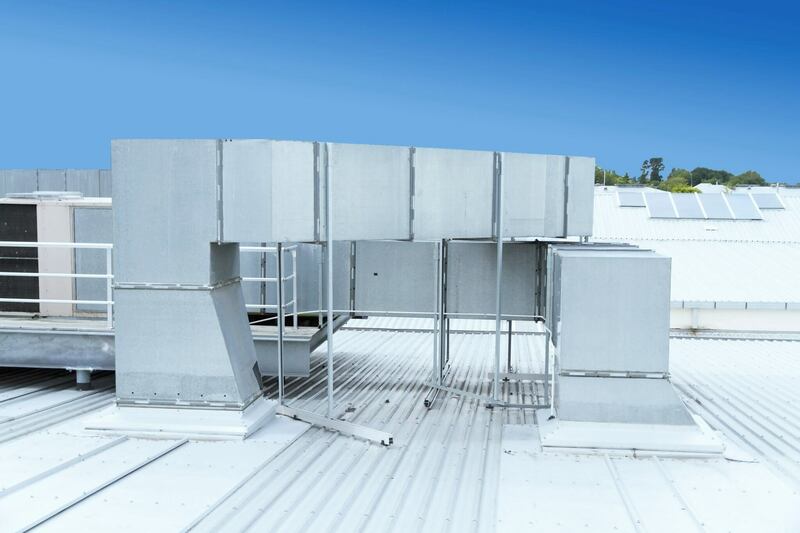 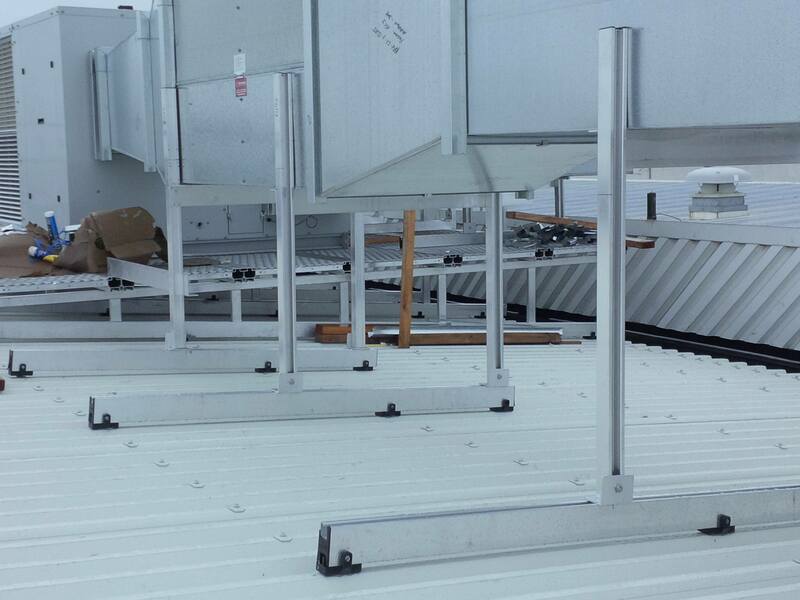 Our range of modular mounts work with the Monkeytoe clips and fixing systems to protect roof integrity and maintain roofing warranties. 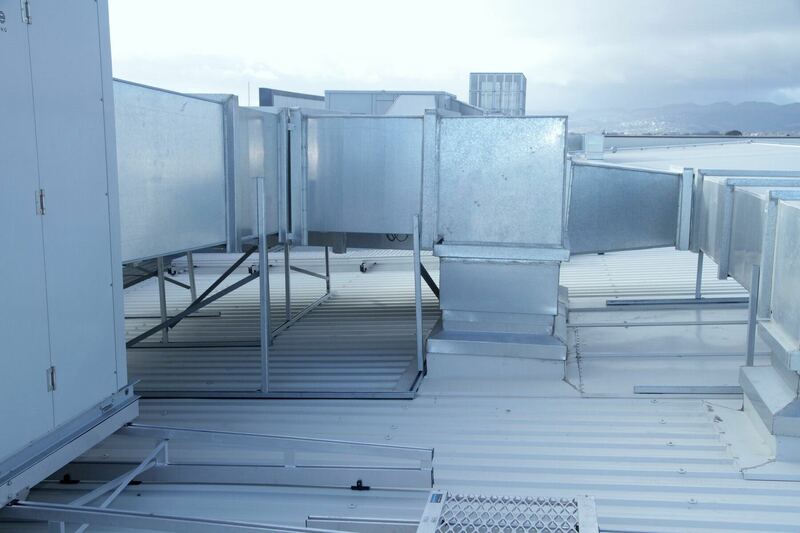 Our mounts are designed and tested to withstand New Zealand wind loadings and severe weather conditions. 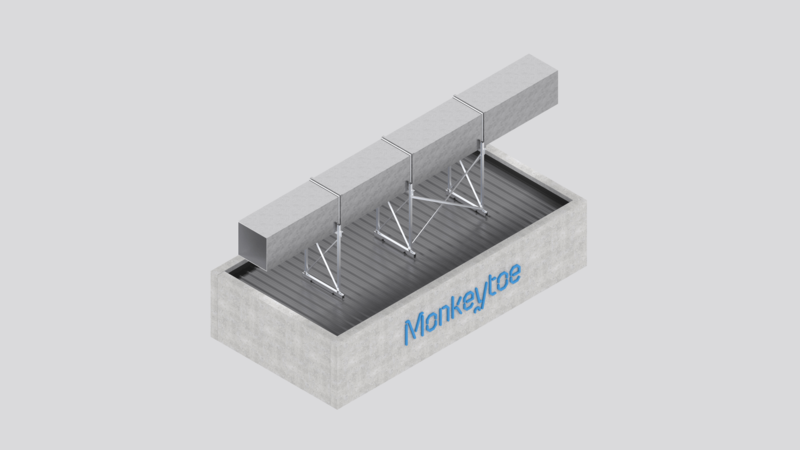 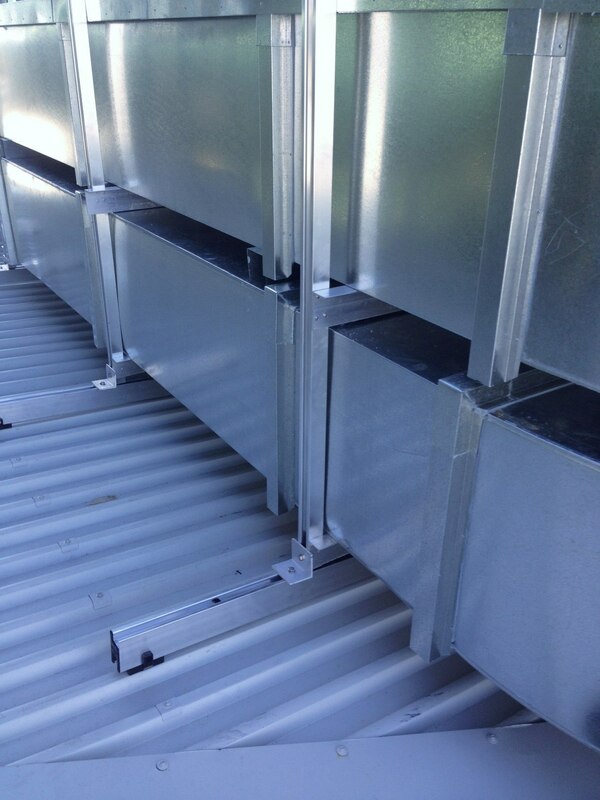 As with all Monkeytoe products, loads are transferred back to the roof sub-structure using our premium roofing fixings. 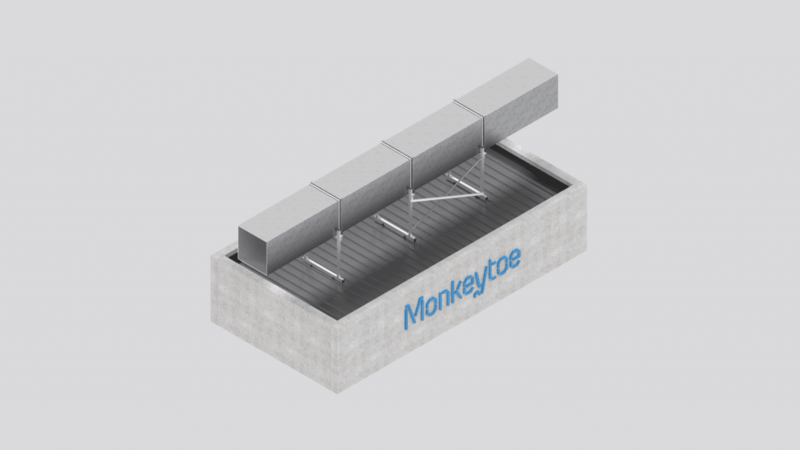 All fixings utilise the special Monkeytoe roofing clip for optimal roof protection, including compatible materials and no debris traps. 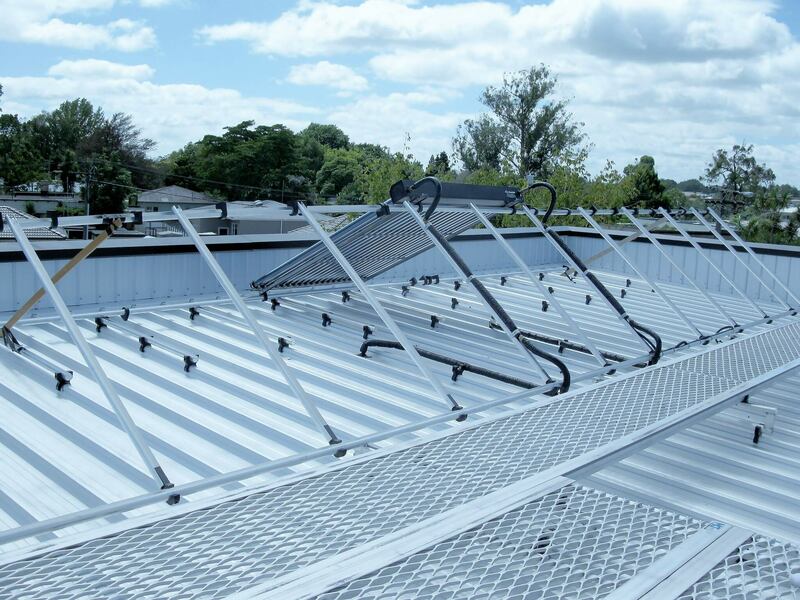 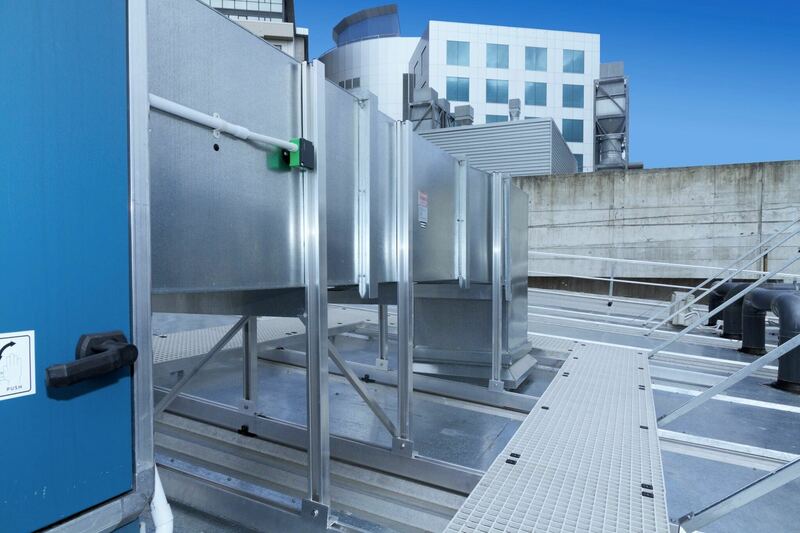 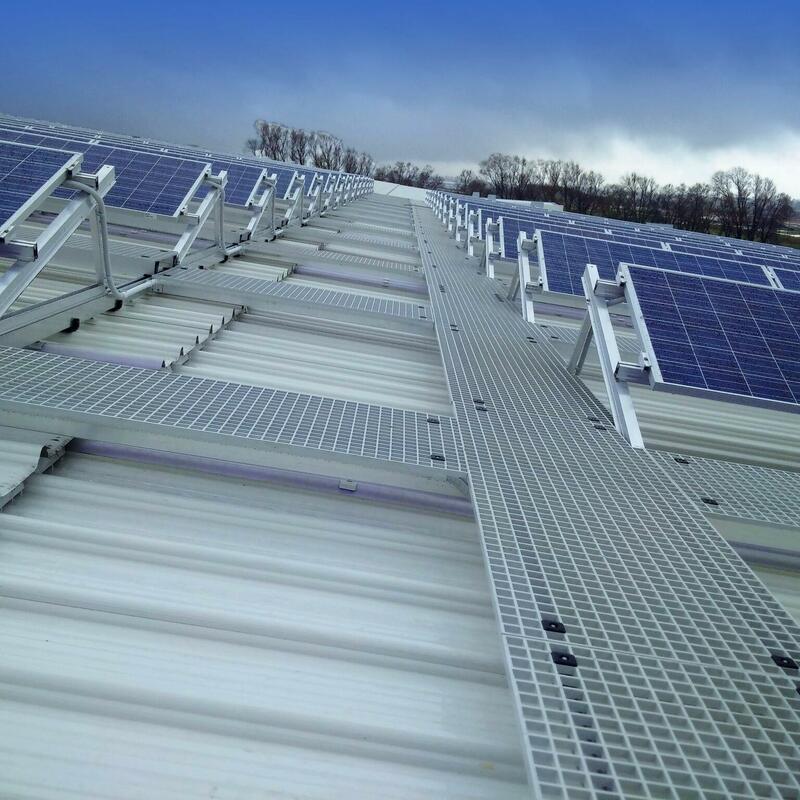 Use for: solar panels, condenser units, fans, flues, cable trays, pipes and other services or equipment up to 250kg. 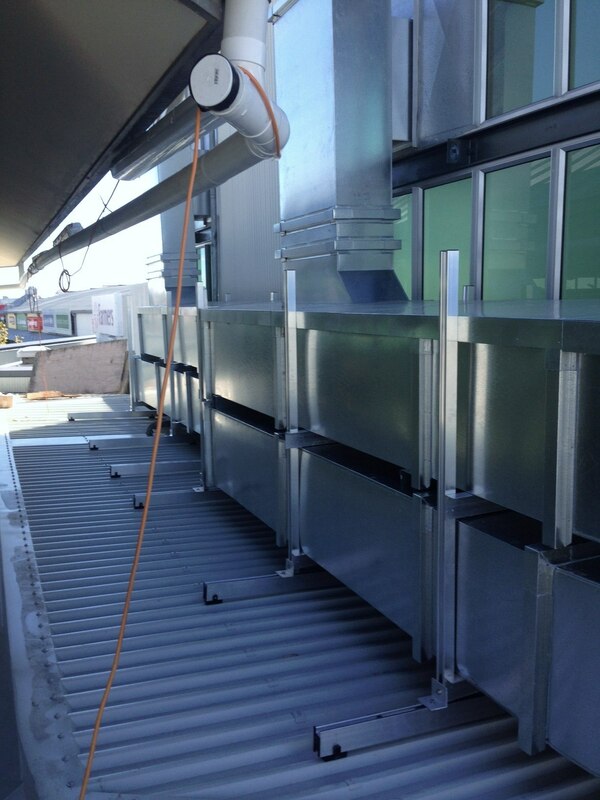 Louvre supports are easily fixed to the mounting system for an attractive architectural appearance in public areas. 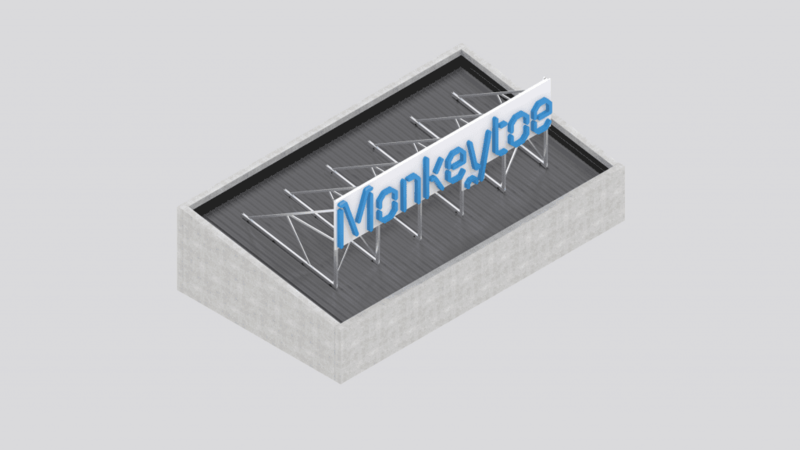 Signage Mount Custom mounting system for building/company signage. 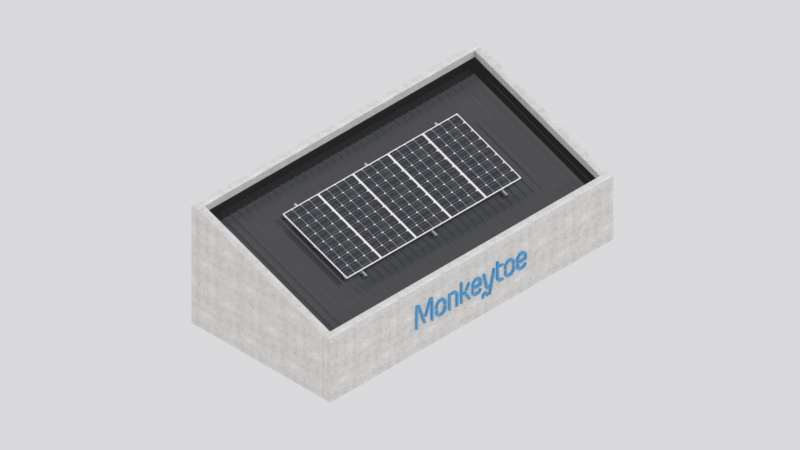 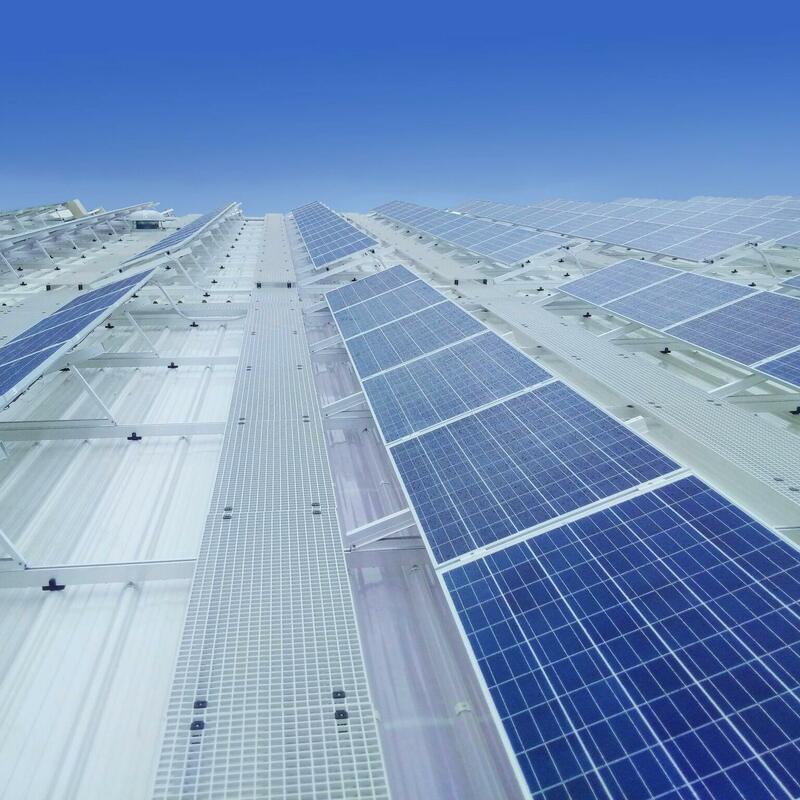 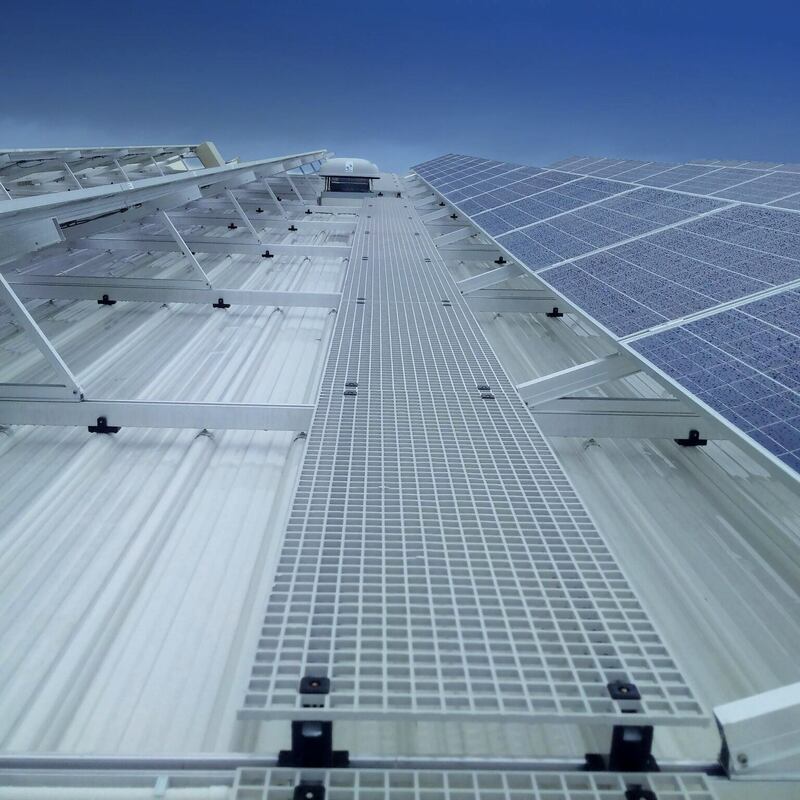 Solar mounts Simple and robust solar panel roof mounting system. 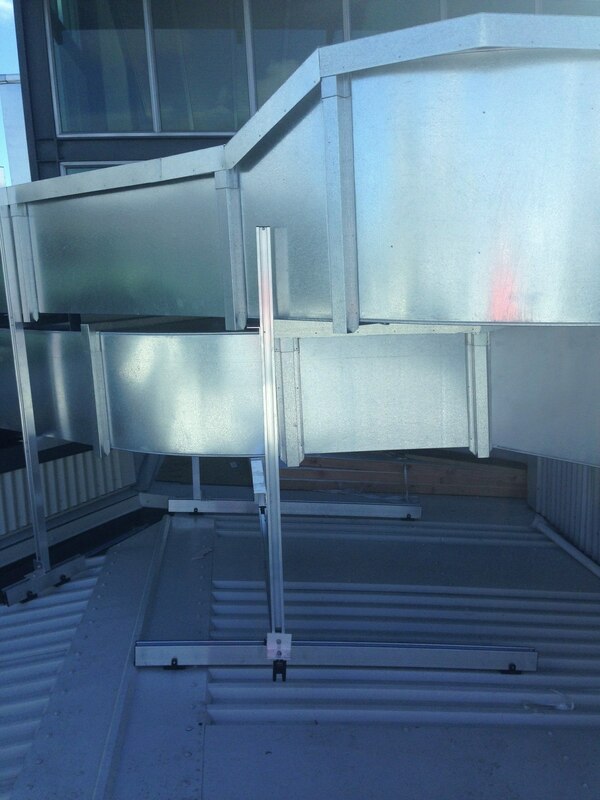 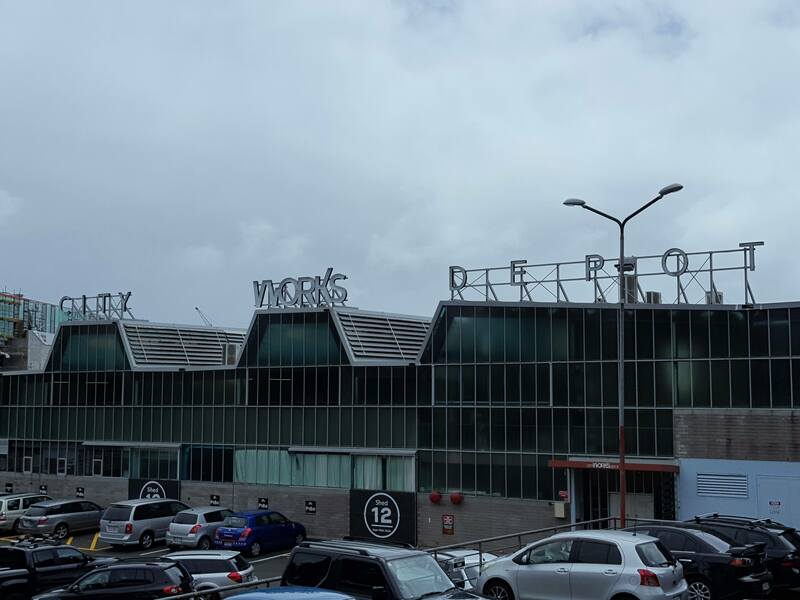 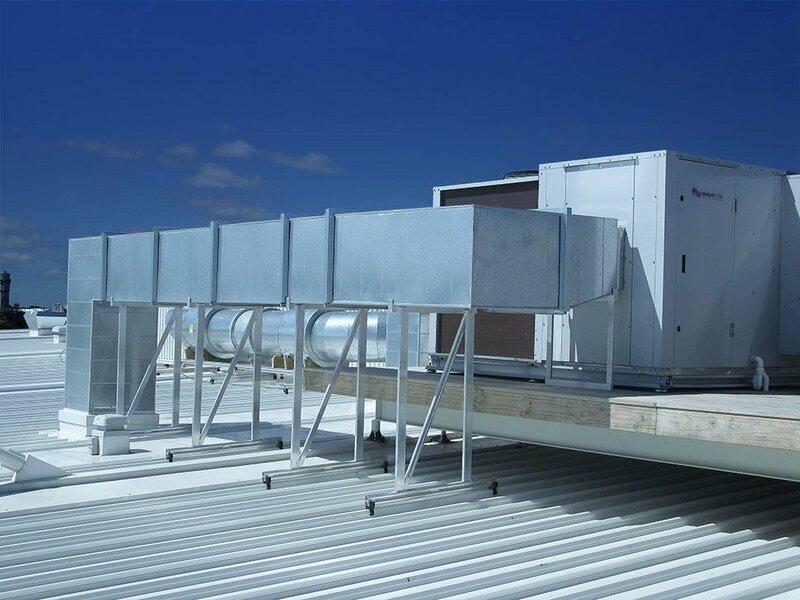 These systems have been designed to comply to NZS/1657 and AS/NZS1170 building code; part 0, 2002; part 1, 2002; part 2, 2011; part 3, 2003; part 4, part 5 2005, and Structural loadings.